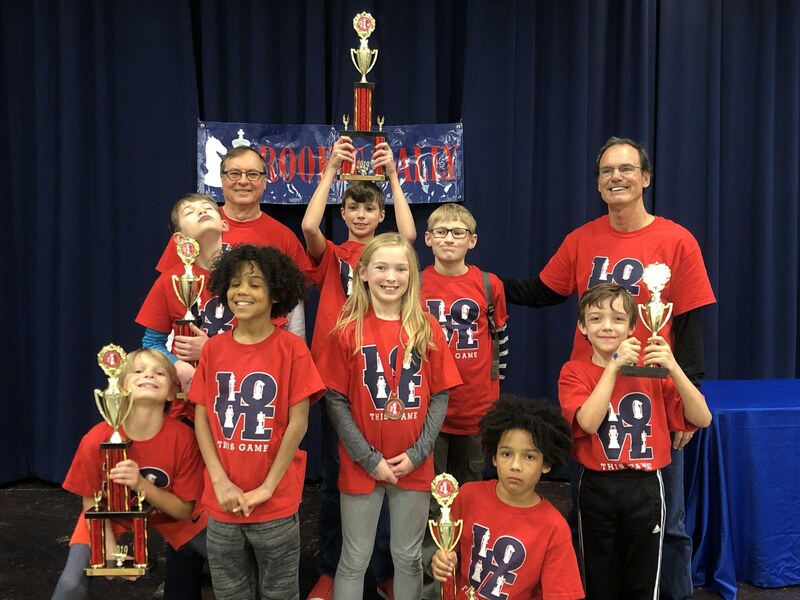 The Blossomwood Chess Club hosted their annual Rookie Rally Chess Tournament on Saturday, January 26. Blossomwood's K-3 U300 division team won a 2nd place trophy. Team members included James Tatum, Greer Lovell, Annie Shaver, Hudson Smith, and Ben Rogers. The entire team also took home individual medals or trohpies. Annie Shaver ranked 15th place, Hudson Smith ranked 14th place, James Tatum ranked 9th place, Greer Lovell ranked 8th place, and Ben Rogers ranked 6th place. Blossomwood's 4-6 U500 division team won a 1st place trophy. Team members included Christopher Schmitz, Jonathan Billions, Samuel Billions, Todd Sims, Randi Calvert, William Shaver, Aiden Kohler, Eli Richardson, Freddie Scheuremann, and Joyner Livingston. Jonathan Billions ranked 6th place and Todd Sims ranked 3rd place overall. We're very proud of all of our students that participated in this event. We'd like to thank their parents and coaches for their support. We'd also like to thank Bethany Pauli, our chess club school sponsor, for organizing this successful event.